A SIGNALMAN who had worked on the railway for 44 years has been sacked over a 20 minute break. 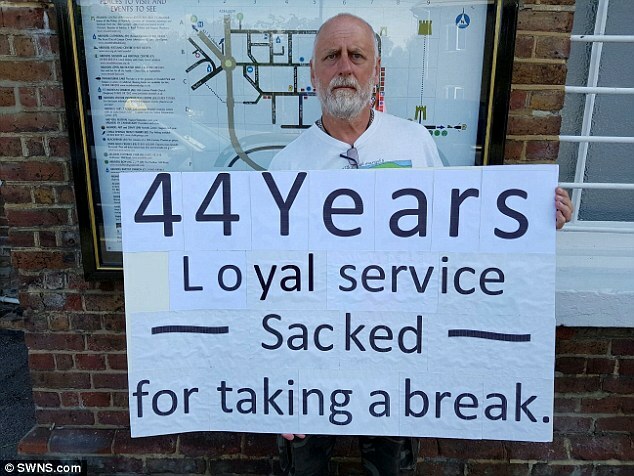 Peter Lee, 60, from Littlehampton started working for the railway at age 16, but was sacked after taking the break as it meant he was disobeying a direct order. Mr Lee said: “I’ve given 44 years of loyal service to the railways and they’ve taken everything from me now. Mr Lee took his employer Network Rail to a grievance procedure in 2015, winning the right to an uninterrupted 20 minute meal break – and has been receiving them ever since. But when Mr Lee checked the rota four days before his shift in January this year, he realised there was no one to replace him. “When I found out there was no one on the rota I told them that I needed my break. Mr Lee said that after making safety assurances he went to take the break - but was suspended on the spot, and subsequently sacked. A spokesman for Network Rail said: “A signaller was not dismissed for taking a meal break. “He was dismissed for gross misconduct after closing his signal box at the height of the weekday rush hour, which resulted in a train being delayed until managers were able to re-open the signal box. Mr Lee denies he had closed the signal box, telling The Argus: “I didn’t even get the chance to close the signal box as my managers suspended me before I could. An employment tribunal in November featuring another Network Rail worker found that employees that work shifts longer than 6 hours were entitled to a 20 minute break – but this is currently being appealed by the company. Network Rail said a process for financial recompense has been agreed for when a meal break is not able to be provided. Peter Lee said: “It’s had such a tremendous effect on my life but my wife is giving me all the support she can. An internet campaign to help Peter Lee has sprung up on petition website and has gained more than 6,000 signatures. Support has also gathered online using the hashtag #IStandWithPeterLee.